Michelle Long is the executive director of BALLE. Founded in 2001, BALLE’s purpose is to nurture and curate the emergence of a new economy — one that will gradually displace our destructive and failing economy with a system that supports the health, prosperity, and happiness for all people and regenerates the vital ecosystems upon which our economy depends. Amongst the transformative communities of practice that BALLE hosts are a Local Economy Funders Circle, the Community Foundation Circle, and the nation’s only Fellowship program dedicated to cultivating the emergence of a new economy. Previously Long was the founding executive director of Sustainable Connections, an organization that prompted NPR Marketplace to call Bellingham, WA, the “epicenter of a new economic model.” A regular keynote speaker, she is also the co-author of Local First: A How-to Guide and the author of the Building a Community of Businesses: A BALLE Business Network How-to Kit. 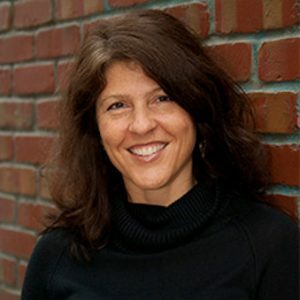 She is a co-founder of the new Well-Being in Business Lab, was named one of the West Coast’s “top five leading ladies of sustainability” by the Sustainable Industries Journal, and in 2014 was named one of The Purpose Economy 100 for North America. Contact Michelle Long about speaking terms and dates.